Leigh Skips Hire Services, a family-owned business, has been offering its services to both the domestic and industrial sectors for about 20 years. Our company has a fleet of well-maintained vehicles fitted with trackers, to make sure that we deliver the highest quality service to all our clients, at all times. For Commercial Skip Hire in Leigh, our clients have a variety of skip sizes to choose from, to fit in with the amount of waste they need to remove, as well as their budget. Why Leigh Skip Hire Services? For those requiring Domestic Skip Hire in Leigh, we offer a range of skip sizes that are ideal for any home waste removal project, and include skips with drop down doors, that are perfect for the removal of garden-related rubble and soil. If your skip has to stand in the road for the duration of your project, then we will obtain the required permit, on your behalf, from the local authorities. As with Domestic Skip Hire, our Commercial and Industrial Skip Hire in Leigh also offers a variety of skip sizes to suit all projects, no matter what amount of waste is produced. In addition, we recycle at least 90% of the waste collected from your premises. 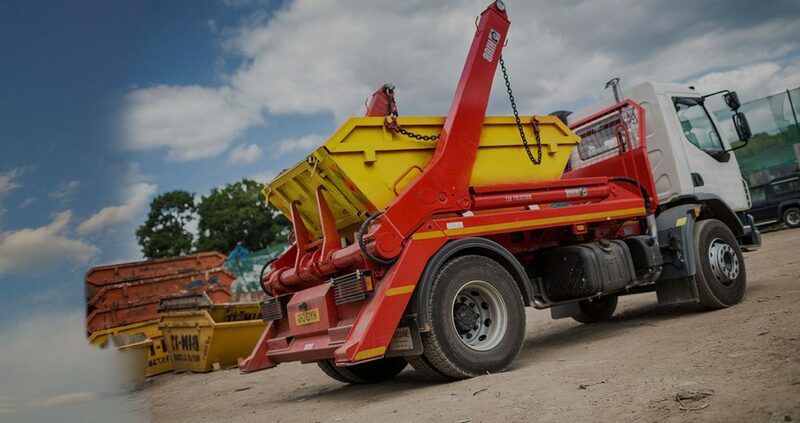 Should you be working on a site that is inaccessible for a skip, or you do not produce sufficient waste to fill a skip, then you might want to consider making use of our Tipping Facilities in Leigh, as well as our weighbridge. When you arrive at the facility, you will be given directions to the weighbridge station, where your load will be weighed prior to tipping. After your load has been tipped, a record of the contents will be made. The waste will then be stored, ready to be loaded into the separation station, where our staff will sort it into woods, plastics and metals, in order for use to recycle as much as possible. For friendly and professional Skip Hire in Leigh Services, please do not hesitate to contact us for further information regarding the services we have to offer for waste removal.